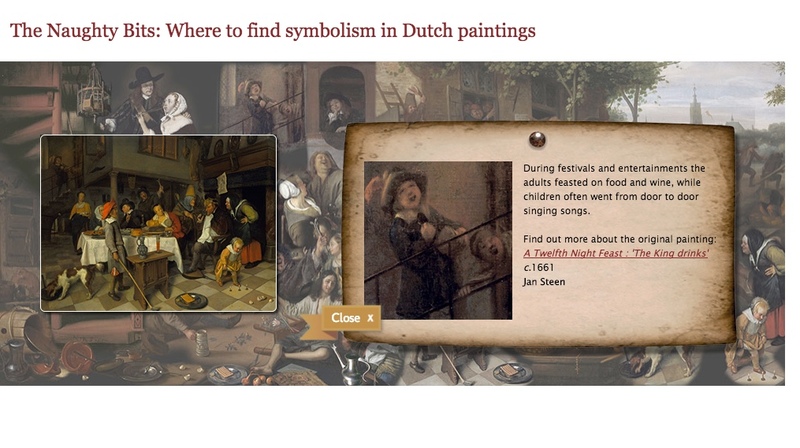 The Royal Collection commissioned us to produce a mobile friendly interactive to coincide with their exhibition; Masters of the Everyday: Dutch Artists in the Age of Vermeer. 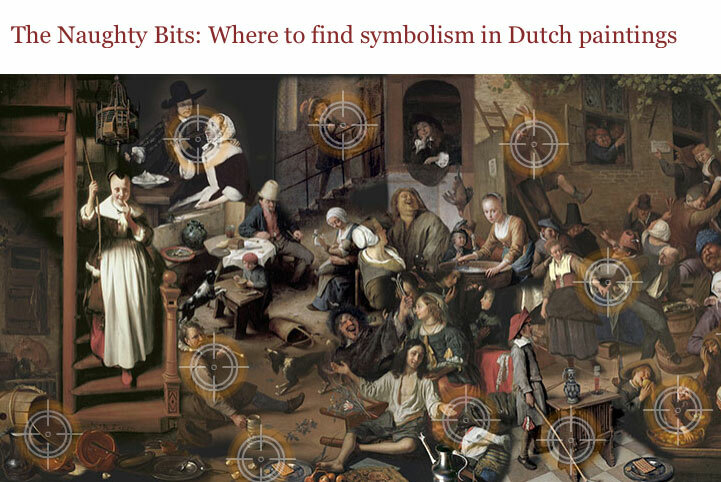 This e-learning application entitled ‘The Naughty Bits: Where to find symbolism in Dutch Paintings’, focuses on a compositional artwork constructed from a collection of different pieces from the exhibition conveying a wonderful scene of joy laughter and mischief. Take a closer look! 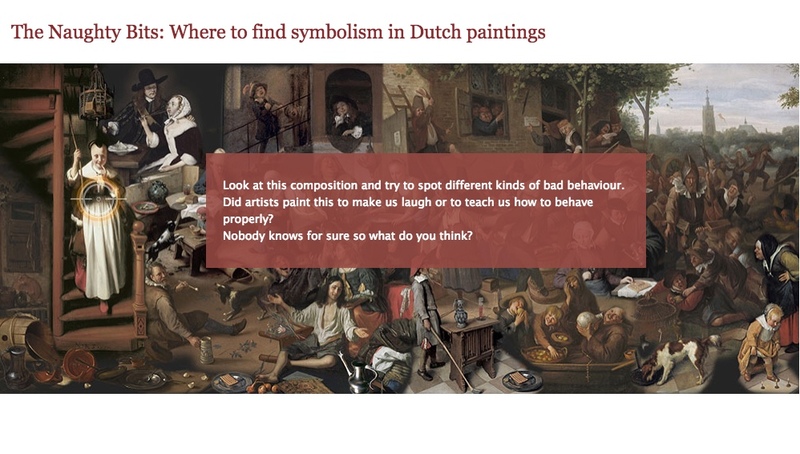 Explore the target hotspots to find out about the bad behaviour that featured during this period of time and how this was represented in works of art. It also touches on a variety of symbolic references such as egg shells representing the fragility of life. This educational interactive is suitable for desktop and touchscreen devices and is aimed at children, families and lifelong learners.